Sometimes I sit alone, this can be when I am in a crowded place too with people I know and I am conversing with them. Imagine that?! Feeling alone is the best feeling ever. When you see yourself disconnected from everything yet so connected that even nuances and subtleties are observed. Sometimes sitting down alone, actually alone with just me is the greatest form of liberation. Why? I don’t like giving attention to those things that do not need it. I am not over-sensitive to the way people react to me aslong as I remember that it is not ‘me’ who they are speaking to but simply a projection of their own brilliant imagination. This all changes when you see Reality as it is, it becomes second nature to know that the projection is hiding the real face. This is what Truth brings to you. It gives you Reality. It gives you what feels and is experienced as Real. Sensitivity is a must but not at the expense of your own emotions or taking offence to tiny matters. Being sensitive to life is very different to being sensitive to the whole drama that we seem to believe is life. Being sensitive to life means that you are in totality with it, you enjoy every bit of life. Every information is decoded into the Reality that is to be seen and you feel that connection to the One that created it all. However, being sensitive to drama simply means that a situation occurs and you make it a massive deal. Instead of trying to understand, you fall straight into the emotional turbulence and you are rocking to and fro creating havoc not only in your mind but definitely in others. If you realised that you are responsible for how you feel. If you can accept that everything you feel is because of you then you will enforce a transformation. 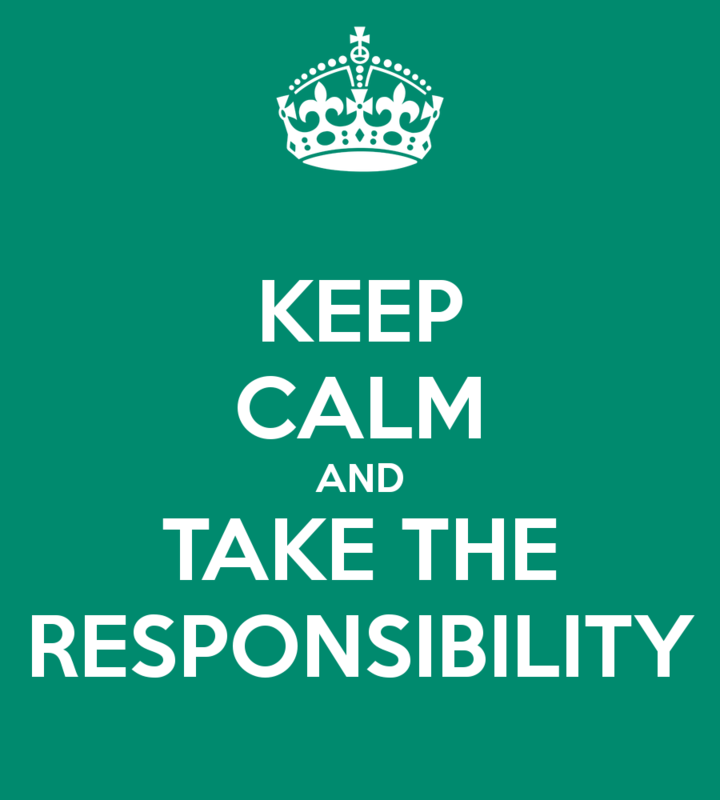 But who is willing to take this responsibility? Who really wants to take the blame for the idiocy and stupidity? It has to be a stroke of madness added with a sprinkle of genius to say ‘I am responsible for how I feel and for what thoughts I allow to run wild in my mind.’ When you accept this then transformation is waiting for you. Not mere change. Change is temporary and transformation is permanent. If you want the solution to be everlasting then choose transformation. But if you love putting unnecessary drama in your life and in the life of others then choose change because that way your idiocy and stupidity can be hidden very well. We all have a choice and I must say that when I took responsibility for what I felt – solutions appeared without me having to do any background work. It is easier to accept that one was wrong. It is not a moment to feel guilty. Again, feeling guilty is just another way of attention seeking! Move on. Once you accept that you are in charge then that will be the last time you will ever recognise ‘you’ as the personality. You will become something larger than life and that is really what life is all about.